Name recognition in the program materials and 2 tickets to the Foundation Dinner. Name recognition in the program materials and 1 ticket to the District Conference or Foundation Dinner. Let Julie know if you are interested in being a conference or foundation dinner sponsor at jmmccoy17@gmail.com or 660-752-3128.
for a cocktail and some conversation before the Foundation Dinner. You can meet your other President Elects and begin building partnerships to guarantee your 2019-2020 success. We will get together in the Windsor room at 5:00 p.m.
Over the last two weekends we have held interviews for the Group Study Exchange Team leader and team members and here they are in the photo. Yes - all our team members are female and just amazing and inspiring young professionals who are so excited to visit your beautiful part of the world. Our Team leader is Past District Governor Arthur Manser - he just happened to be my District Governor when I was Club President.Team members from left to right are: Rose, Kally, Stacey and Amber. 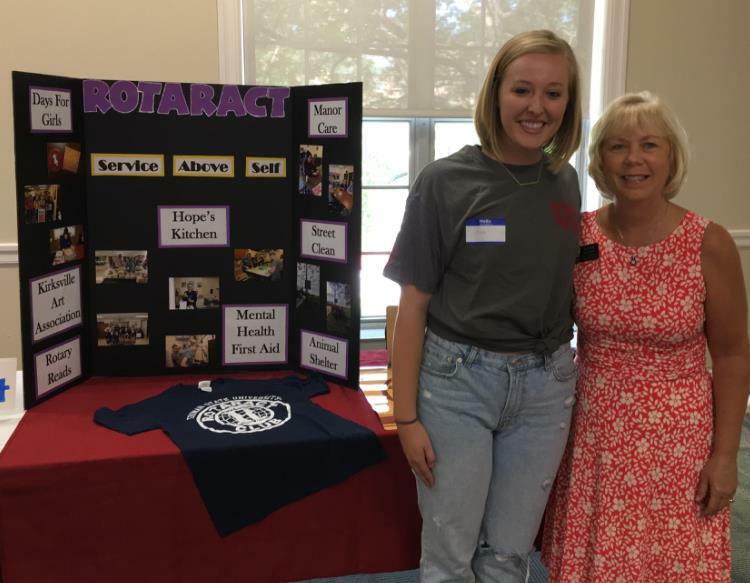 The Rotaract Club of Truman State University consists of around 30 members who are dedicated to putting "service above self." Rotarian and Truman faculty member, Zac Burden, advises and looks over the Rotaract club. Requirements of the club are attending one meeting every other week and completing two hours of community service per month. In the month of October, Rotaract members will be helping at the FLATS Trail Half Marathon, fundraising for Make-A-Wish Foundation at Oktoberfest, and Project NEMO Connect. Rotaract members love serving both the Truman and Kirksville communities. Meet David McCaughney, DGND of Kansas City Club 13. He is one of three gentlemen who have taken on the task of updating our District 6040 website and Facebook page. Meet Bob Merrigan, Communications Chair of the KC Plaza Club. He is one of three gentlemen who have taken on the task of updating our District 6040 website and Facebook page. Meet Kirby Asplund, Public Image Chair of the Lee's Summit Club. He is one of three gentlemen who have taken on the task of updating our District 6040 website and Facebook page. Meet Stephanie Smith, immediate Past President of the Eastern Independence Rotary Club. She is our District Newsletter editor. Friends United provides training and resources to teachers and schools in Honduras. So how did it all begin? Paulette Baker Eubanks studies Spanish in high school and decided to pursue a minor in Spanish in college. She formed a Spanish club in the elementary school where she taught kindergarten. After connecting with another teacher, Charlotte Ruoff, who also sponsored a Spanish club, her students began writing letters to students in Honduras. Her connections ultimately resulted in a trip to Honduras, along with Charlotte Ruoff and Kirk Arnold, another teacher in Independence. The three of them founded Friends United in 1987. Seminars are conducted in the United States twice each year with teachers from Honduras, focusing on the core subjects of reading, writing, and math. In addition, Paulette travels to Honduras twice each year to conduct seminars there, along with Bessy Morales, a Honduran teacher, and Amy Suhr, a former Independence teacher sho now resides and teaches in Honduras. Paulette is a member of the Rotary Club of Independence, Charlotte is a member of the Rotary Club of Smithville, and Bessy is being installed a member of the San Miguel de Heredia Rotary Club in Tegucigalpa, Honduras. 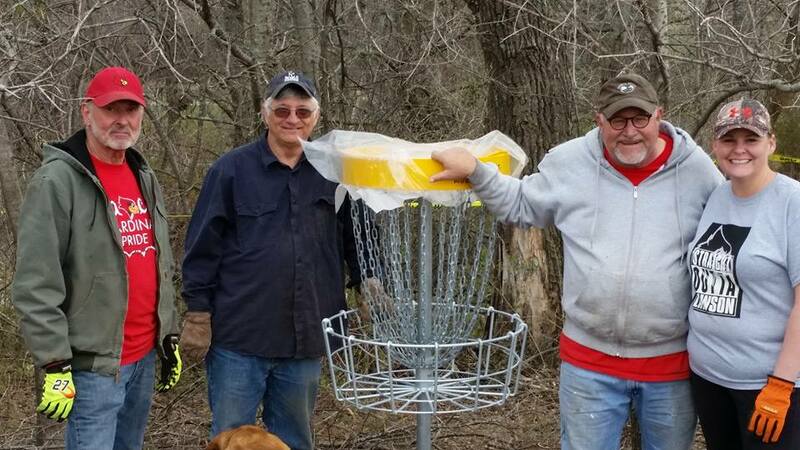 Earlier this year, the Rotary Club of Lawson allied with the Lawson Park and Recreation Board and the City of Lawson to develop a championship-level disc golf course at the Lawson City Lake. Donating labor and using funding from a Rotary District 6040 grant, Lawson Rotarians, Park Board members, volunteers, and disc golf players worked side-by-side to clear and build the new course from the ground up. Fortunately, local disc golfer players developed the design for the course, using trees, bushes, elevation changes, water hazards, and varying distances to make each hole challenging. Ironically, at the same time Lawson volunteers were working to build and open the course at the Lawson City Lake, Swope Park, the oldest disc golf course in Kansas City, was being closed to make room for an animal shelter. Before the course was completed, players from Kansas City came to Lawson to play the unfinished Disc Golf course and voiced their approval to the design and construction. The Lawson City Lake Course is built on rolling hills and offers a wide variety of shots through the woods, open fields/fairways, and long and short pars to the dispatchers (750 to 1,000 feet). Par will probably be 57-58. Lawson is 35 miles northeast of Kansas City and 10-15 minutes off I-35. The Lawson course will be public and free to play. The Rotary Club of Lawson invites all Rotary Clubs in District 6040 to come to Lawson and spend a day challenging each other to a round of disc golf. The KCI Rotary Club sponsors one of the apartments at the local homeless ministry. Through this apartment we house a working homeless family, free of charge, while they complete the Hillcrest program. This program requires that they continue to work their full time job and includes case management, budget counseling, life skills and access to the food pantry. The goal is that the family saves every dime they make to pay off their barrier debt and build a savings so when they graduate the 90 day program, they can move into a place of their own with a budget in place to sustain them into the future. 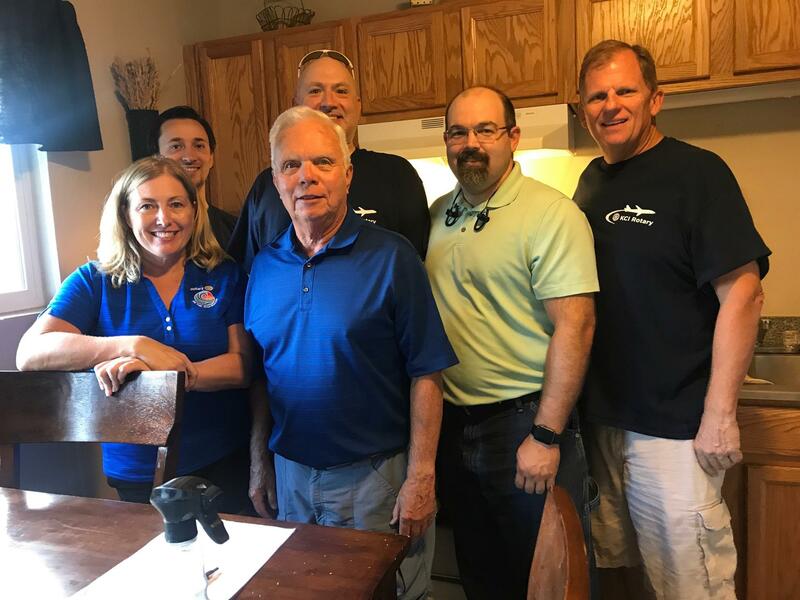 This picture shows a crew of rotarians cleaning the apartment after one family graduated the program in preparation for the next family to move in! We sponsor around 4 - 5 families each year! We also participate with the family by bringing them meals every once in a while and stocking their pantry upon move in and sending notes of encouragement. We are making a difference one family at a time! To quote Barry Rassin, RI president, "Together we can and we will change the world!" Responsibility: The district treasurer has custody of the district general fund and all other district funds, except specifically identified and separately administered grant funds. It is the Responsibility of the district treasurer to see that Internal Revenue Form 990 is completed and filed on a timely basis of each year. The Treasurer is charged on a timely basis with the responsibility of maintaining the accounting records of the district and to maintain a system of controls that safeguards the assets of the district. The District Treasurer is a member of the District Executive Committee. Appointment of chair and term of office: The chair is appointed to a one-year term by the incoming District Governor and may be reaffirmed annually by future governors to serve for additional years. Time Requirement of District Treasurer position: approximately 5 hours per week. One key component to a good Rotary Club is social events. 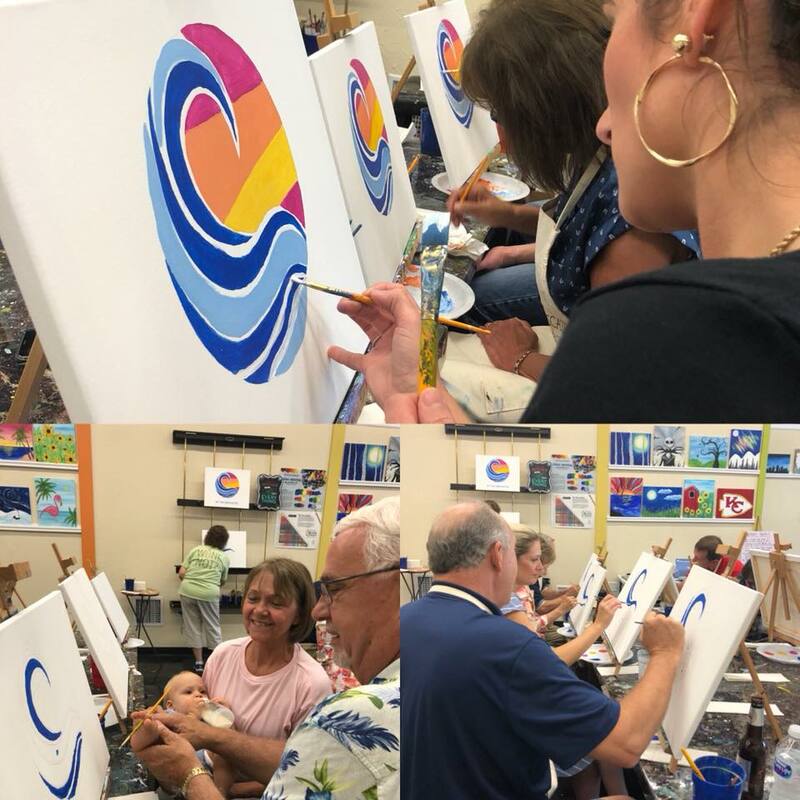 The Blue Springs Rotary Club held a Wine and Paint night social. To make it more fun, they painted this year's Rotary logo! The club even brought along PDG Kenny Harris' grandson....could he be a future Rotarian? 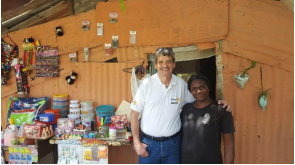 You may have heard about the Microcredit program that our District started and is under the supervision of the Rotary Club Santo Domingo Herrera, but what has been taking place? The Rotary IDDI Microcredit Project was devised by our District 6040 and the Dominican Institute of Integral Development. So far 68 women have benefited from the project including Josefa, a low-income homemaker with two children. Josefa uses her loan to buy items in the Villa Consuelo marketplace and retail them in Los Alcarrizos neighborhood. Within a year, Josefa had paid the loan back and successfully applied for a second loan from a private institution, which has allowed her to move her business to a place where there are more people passing by, thus selling more. Over the project's five-year life span, plans are to provide loans to 250 to 420 women in Los Alcarrizos and Herrera in Santo Domingo. For more information, please contact Randy Steinman. One of the Waldo Brookside Rotary Club’s (WBRC) ongoing and signature service commitments is its 7540 Community Partnership. The partnership between WRBC and apartments (located at 7540 Washington St.) built specifically for individuals who have recently aged out of foster care seemed destined to happen. The apartment complex, a project of the local non-profit reStart, opened its doors just blocks from where WBRC meets and at nearly the same time of WBRC’s chartering in late spring 2015. The most consistent contact the WBRC has with the residents of 7540 is through monthly meals set up by the community service committee. The meals are held on the first Thursday of each month in the community room located at the apartment complex. Meal cuisine alternates between home-cooked “potlucks” and pizza. This allows us to provide meals more frequently, and also provides an opportunity for our members to participate in a community service event that require no more than showing up to eat and interacting with the residents of 7540. The club also had a job fair type event at 7540, where some members simply spoke about their places of business or particular fields, while others actively recruited residents to work in those fields. WBRC has provided resumes through the services of a professional resume writer, scholarships for clothing for job interviews or employment, and computer equipment used by the residents to strengthen their job skills, apply for jobs, and/or update and print resumes and cover letters. Residents of 7540 also periodically attend WBRC meetings, volunteer for its community service projects, or otherwise interact with club members when they are out in the Waldo community, of which we are both a part. Initial funding for this partnership was through a matching district grant we received in 2016-2017 (our first grant), as well as community sponsorships, and fundraisers. The grant application envisioned the involvement of several of the club’s committees: community service, vocational service, and youth service. We recently held a Charity Bingo night at Hamburger Mary’s in which we raised $1,250 for the ongoing support of this project! Looking forward, opportunities to expand the WBRC’s partnership with 7540 were discussed at its recent club assembly. They include additional efforts aimed at preparing the residents for jobs, and encouraging their involvement in Rotary programs geared toward younger aged members. In addition the club has considered some hands-on DIY building projects with the residents, including building raised beds for gardening, as well as building large versions of various games (like Jenga, Connect Four, Ladder Golf) that club members have played with the residents during the monthly meals.